You have a good website. Now promote it! But where? Now think about it! Traditional media like newspapers, magazines, telephone books, broadcasting, direct-mail still can work for you. But they are so expensive, and so old school. If you want customers to see the information on your website, what do you want? Some advertising media where you are hoping they will remember your website address, go to a computer, and try to find you? Or advertising that provides one click access directly to what you want them to see? The answer is obvious. You want online advertising... as close to your customers as you can get. Since 1997, GigHarbor.Com has truly been Gig Harbor's "home page"... a community portal and guide which provides information, interactivity and participation opportunities for anyone within the community. GigHarbor.Com is for both locals and visitors. Thousands of viewers pass through this portal each month! It is a true civic resource! Businesses that have joined with GigHarbor.Com are reaping valuable exposure and visibility. If your business is serious about reaching Gig Harbor area customers, you should be here, too! Your banner ad here is Just One Click Away from your own website advertising message. GigHarbor.Com is often the No. 1 traffic generator for our Banner Advertisers! Spinning your wheels with costly and cumbersome print and mail ads? No doubt you will find that Gig Harbor's Home Page is your most cost-effective advertising buy! 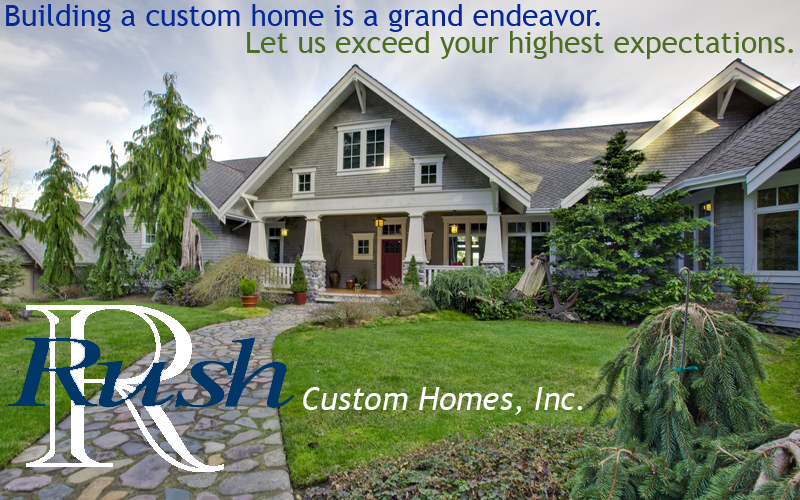 Contact us today to learn more about your options at GigHarbor.Com. We look forward to speaking with you. IN THEIR FACE ADVERTISING -- WOW! How about this for exposure and visibility! A GigHarbor.Com exclusive! Your customers can't miss -- and actually love -- this kind of "Super-Sized" advertising. You could be catching their attention today! HOME PAGE SPONSOR -- Your 800x500 all-color Super-Size Banner Ad positioned just below the home page menu... and at the bottom of all main pages. So your Sponsor Banner is prominentaly presented on all the highest traffic pages of GigHarbor.Com. A maximum of four banners rotate on the home page, with a five second duration, so all banners can be viewed in 20 seconds. Each banner is an active link to the sponsor’s web site. Maximum visibility and exposure for your business. Please call or for rates. INSIDE PAGE SPONSOR -- Your 800x500 all-color Super-Size Banner Ad positioned at the top of the GigHarbor.Com Inside Page of your choice. Inside pages available include: Area Info, Calendar of Events, Arts & Entertainment, Shopping, Services, Real Estate, Traffic Lodging, Dining, Recreation, Clubs & Associations, Area Map and Weather Center. Inside Page Sponsor banners are ultra-visible on each page. Not only do visitors see the banner when they first enter the page, they return to the banner each time they click on the “Page Menu” link. Each banner is an active link to the sponsor’s website. A maximum of four banners rotate on each inside page, with a five second duration, so all banners can be viewed in 20 seconds. Inside Page Sponsorship rates start as low as $25 per month! BANNERS ARE FREE for our web site design or hosting clients! If your hosting service never sends you any qualified customers, you could be losing out big time. Transfer your website hosting to us, and start reaping the benefits the GigHarbor.Com stragetic advantages. For other businesses, GigHarbor.Com Banner Ads are $99. No, not per day, or per week, or per month like traditional media. $99 PER YEAR! You WILL NOT find any a better advertising deal anywhere. Your 468x60 pixel Banner Ad goes in alphabetical order in our business listings for the category that corresponds to your business. If we don't currently have an appropriate category for you, we will create one for you. GigHarbor.Com visitors really do click on these banners. In fact, our research over the years suggests that you'll receive over 10 times more visitors from a Banner Ad than from a text link. Free creation of your Banner Ad using your logo, or you may provide your own image. Includes two-sentence text description below ad. SPECIAL DISCOUNT: With your purchase of a banner ad at GigHarbor.Com, your business qualifies to run the same banner at our other local portal site, AllTacoma.Com for 50% off! TEXT LINKS ARE FREE... with link back to GigHarbor.Com from your site. Copy & paste the code in red below into your site for your free GigHarbor.Com link. Once you have added the GigHarbor.Com link, with your business name, address, phone, web site URL and the GigHarbor.Com category you would like to be listed in. We will add your link ASAP. So perhaps you don't have a website that works so well. Or maybe you don't have one at all. In this day and age, that's just not acceptable. Especially when it's so easy and inexpensive to have a website that works very well for your business. Since 1995, GigHarbor.Com has been the Gig Harbor area's leading website design business. We've designed more websites than anyone else on this side of the bridge. GigHarbor.Com has a website development and management package available for every business type and budget... designed by true website professionals. Web sites are our only business! We don't do web site design "on the side". We don't sell computers. We don't repair computers. We are not the phone company. We are not really a print shop or graphic artist. Our background is in communications and marketing. And isn't that who you want developing your "brochure to the world"? Click Here for more information on our web site design program. Our website design clients receive FREE BANNER ADS at GIGHARBOR.COM AND ALLTACOMA.COM No other website designer can offer this outstanding srategic advantage! Yet our rates are among the lowest in the Pacific Northwest for truly professional web site design. We do offer discounts for large projects and to schools, community organizations and civic services. Complete websites start at just $199. Contact us for a FREE CONSULTATION. We can get your business or organization up and running on the web, or significantly improve your existing site! Click Here for more information on our web site design program. All websites must be "hosted" (or stored) on a computer system that offers adequate bandwidth access to the entire internet. Once upon a time hosting fees were much higher than today, but they have come down in price with the advent of "discount" hosting services. These services propose to save you some money. But do they, really? Definitely not, if they are losing you business. It is these discount hosting services that most often feature slow servers, or worse, servers that are down periodically. Moreover, they offer very little in customer service. If you want something done to your website, you must do it yourself. And one thing is sure... they will never send you a qualified customer. GigHarbor.Com is one of the few local website design businesses that also maintains its own hosting servers. We're just a bit more expensive than the discount hosting services, but well worth it. First of all, we offer FREE monthly updates to your website. That services is virtually unknown in the hosting business. Best of all, our hosting clients get a FREE alpha Banner Ad at GigHarbor.Com, our great local portal site, which will send you qualified customers. So, your hosting may end up paying for itself over and over again! When it comes to website hosting, don't be penny-wise and dollar foolish. Contact us for more information on website hosting. If you are using a different website designer, insist that they host your site at GigHarbor.Com so you'll benefit from our promotional advantages. Click Here for more information on our web site hosting program.